Solidly constructed from veg tanned shoulder leather and stitched by hand using strong braided thread, these possibles pouches are both durable and functional. The larger Prospector pouch houses a 2oz tobacco tin and is perfect for carrying essential first-aid items, firesteel and tinder, keys etc. The smaller Ranger pouch is designed to hold a 1oz tin. Both are secured by means of a Sam Browne fastener for easier access and have belt loops that accept a 44mm (1.75 inch) wide belt. Tough moulded possibles pouch, designed to hold a large 2oz tobacco tin (included). The flap is secured with a Sam Browne fastener and the belt loop accommodates up to a 60mm (2.3 inch) belt. The Woodlander Bush Belt is constructed from heavyweight leather and is 1.75 inch (44mm) in width. It features a solid brass roller buckle and removable brass utility D-ring. It is intended to be worn over your outer layers and is a perfect complement to your Woodlander pouches and knife sheaths. It is important to provide the correct waist measurement when ordering your Bush Belt. The best way to determine this is to wear your usual shirt/anorak/Swanndri and measure around your waist over these layers. Add an extra brass D-ring to your Bush Belt. Made from heavyweight leather and solid cast brass. Replacement sheath for the Small Forest Axe. It features a thick leather welt which has been double stitched for safety and has a Sam Browne fastener to secure the sheath to the axe. Available in various colours ( dark brown shown). This removable vertical carry rig allows you to carry your Woodlander Scout or Boreal sheath in a conventional vertical manner. It slips onto the Molle straps and has a d-ring to allow attachment of a leg tie. 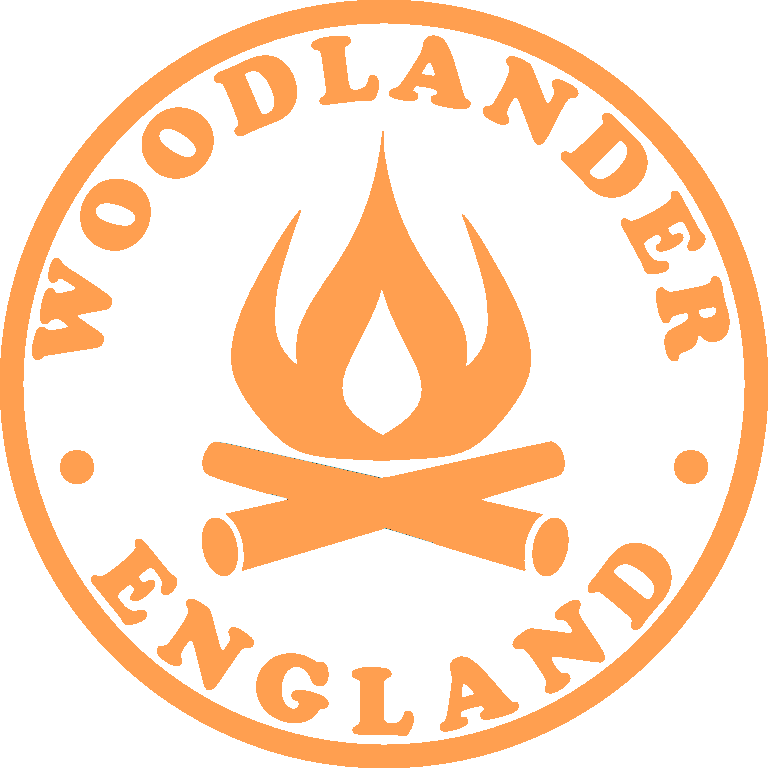 Ferro rod with alloy handle and leather tab bearing the Woodlander campfire logo. The simple bungee cord allows it to be secured to your sheath.